Dominic Smith has accomplished one of the most difficult tasks a novelist can take on — He has maintained the continuity of a story that flashes back and forth in time over more than three hundred years, from New York of the 1970s to Holland of the 1630s, and then to Sydney at the turn of this century. This outstanding novel tells the story of a painting and its creator, “At the Edge of a Wood,” painted by Sara de Vos in 1636 as a memorial to her daughter Kathrijn, who died at seven of the plague. You will know from the beginning that there is no such painting, that neither Sara de Vos nor Marty de Groot existed (although Sara de Vos is based on the first women allowed to become members of the Dutch painters’ guild, a clannish and tight-knit group with arcane rules and rituals. Both will seem as tangible as your neighbor. The other main character is Eleanor Shipley, known as Ellie, who is equally real. We meet her as a student and struggling young art restorer who lives in an undesirable corner of Brooklyn. Her tiny apartment, “Set above a Laundromat, has its own weather: a tropical monsoon during business hours and a cooler, drier climate at night.” It is so unkempt that she has allowed no to stranger visit (Marty will be the first). She shops at the store where “period conservators and forgers alike” go for their materials, such as the odoriferous rabbit skin she cooks into glue on her own stove, wondering if the travelers on the Gowanus Expressway look through her window and think she’s stirring porridge instead of melting animal hide. The mention of forgers is the magic door to the entire story. In brief, impoverished Ellie is hired by a shady dealer to forge a copy of “At the Edge of a Wood,” which is then exchanged for Marty’s original. 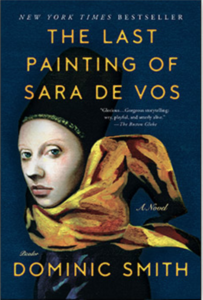 The book imagines a turbulent life for Sara de Vos. Her daughter dies of plague; her husband first hides their financial distress then goes bankrupt and abandons her, rather than go to debtors’ prison. Dutch society of the seventeenth century is not kind to women in that situation. They inherit their husbands’ debt, although Sara is lucky. Her husband’s main debtor wants her to work off the debt by painting, which raises the question: Was “At the Edge of a Wood” her last? You decide. There’s a long section about the odd and manipulative relationship between Marty and Ellie after he learns she’s the forger. An important part of the plot is the atonement both of them owe. Do they deliver? In an oblique way, it reminded me of Ian McEwan’s Atonement, although I had a hard time figuring out which was the Briony figure. It’s been a long time since I’ve enjoyed a novel so much, and longer since I’ve learned so much from one. 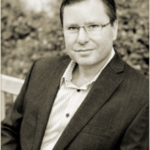 Dominic Smith, an Australian who now lives in Austin, must have done an immense amount of research in preparation, and it shows, but he escaped the pitfall of making the book sound academic and instead created his own art.